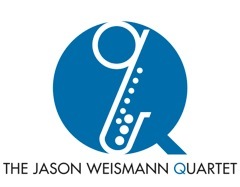 Please fill out the form below to have The Jason Weismann Quartet contact you with more information! Coined “Minnesota’s Michael Buble”, Jason Weismann and the ‘Q’ provide a classy and flexible alternative to the cookie cutter wedding bands. The band appeals to the young and old with a sound that is often compared to Michael Buble and Harry Connick Jr. yet still harkens back to images of the Great Gatsby, Mad Men, and The Cotton Club. The band also sets a wonderful stage for Swing dancing. They perform with vintage suits, and a classic 40’s microphone so even the look is fun. They are also very flexible with sound and budget. From a solo instrument expanding to a six piece group as the classic small group sound. The band can grow from duet to a 16 piece ensemble as your budget and needs allow. One of the headliners at Orchestra Hall’s Summerfest in 2012. 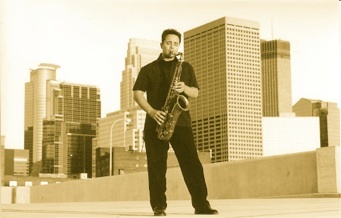 Featured artist at the Twin Cities Jazz fest as well as leading the national feature ‘Deodato’s’ Horn Section. One of the 4 composers featured at Orchestra hall in 2011. Composed, arranged, sang and played sax on all of my own music for this performance. Former winner of the Minnesota’s Music Award for Best instrumental Group. 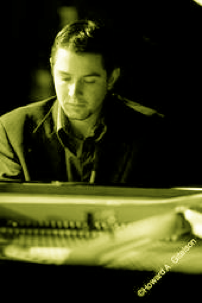 Jason comes from a family that has is steeped in rich Jazz tradition. His father a professionally seasoned drummer and classical pianist and his brother Joe started out as a professional Bluegrass bassist, performing national events in his early teens. Jason grows from that tradition and has been performing as a vocal soloist from his early Self lead vocal Jazz groups (ages 14-18) in high-school and at St. Cloud State to being an Alum of the elite Vocal Jazz groups at Berklee College of Music and The University of Minnesota. Since this time he has co-founded and lead the Jaztronauts, a 4 person tight vocal harmony Swing/Jive group for 12 years now. During that time he has booked and brought and lead bands through tours in Zurich Switzerland as well as other parts of Europe. Jason pays great attention to surrounding himself with the top players in the Twin cities and arranges his shows around their unique performances while still staying true to himself, and above else the music of the great crooners. 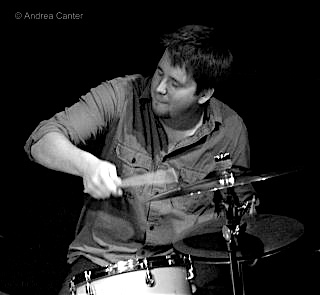 He tries to incorporate the passion, care of arrangement and technique of Cannonball Adderly’s groups with his 5 piece setup, while still interjecting smooth smokey vocals complimented with his breathy tenor sax, all with a light touch and velvet background. Whether a passive listener or a Jazz enthusiast, we believe everyone has something to enjoy from one of The Jason Weismann Quartet’s performances. Contact us today, to see about our availability for your wedding or special event! I thought you were wonderful at our wedding, and I got several compliments about your music. One of my cousins, Jeff (perhaps you met him) was especially impressed when he saw your name on the program — your reputation preceded you. He thought the last hour of music was particularly good. I was really happy with the ambience you set and the professional way everything was handled. I would love to write up a little something for your website, and I will send it to you with pictures when we get them back. I will be happy to pass on your info too. Thank you again!